Described as ‘a veritable Bard of the bent, broken and Baroque’ by Andy Partridge (XTC), Darryl W. Bullock is a publisher, editor, and writer specialising in areas including music, the arts and LGBT issues. 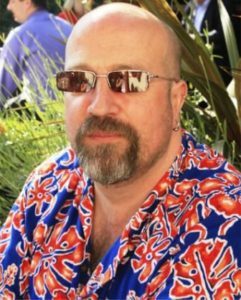 Since 1995 he has written excess of 2,500 articles and news stories for publications including The Guardian, The Bath Chronicle, Venue, Folio, Songwriter Magazine, The Spark, The Bath Magazine, My Wiltshire, B-24/7, 3Sixty, The Pink Paper, We Are Family Magazine, The Western Daily Press and The Quietus. He has been profiled in The Guardian, The Sunday Times and GT and has featured on BBC One (The Big Questions), C4 (Come Dine With Me) and on numerous local and national radio and TV programmes. 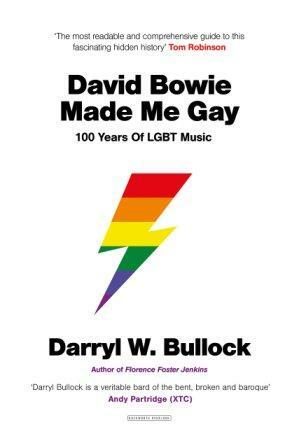 Darryl is the author of four books: The World’s Worst Records (Volumes 1 and 2), Florence Foster Jenkins: the Life of the World’s Worst Opera Singer (called ‘delightfully cheering’ by bestselling author Alexander McCall Smith in The New York Times), and the acclaimed history of popular music David Bowie Made Me Gay: 100 Years of LGBT Music (Duckworth-Overlook, 2017). He posts weekly on his blog, also called The World’s Worst Records. Come and hear Darryl speak at the LGBT History Day at Bristol’s M Shed Museum. Free entry.